Are you tasked with building the procurement team at your organization and wondering where to start? 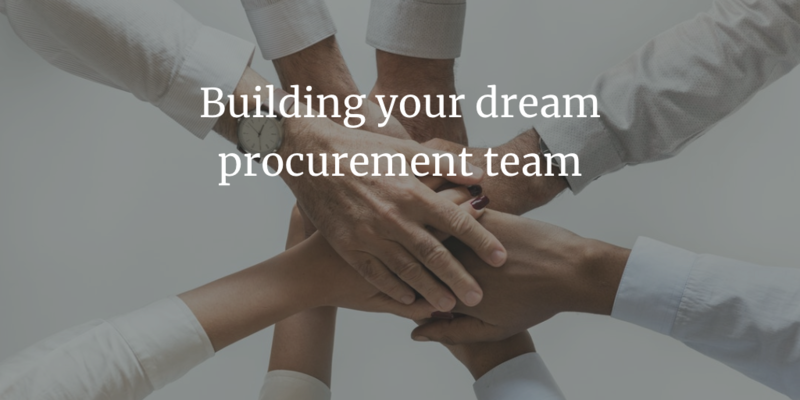 Whether you an experienced procurement professional or just been handed over this function, this guide would serve as a step by step process on how to build a procurement team from scratch. In this guide, we cover not just strategy but provide detailed steps for executing a strategy for building the procurement team. Procurement plays a critical role in helping an organization achieving its goals. Whether it is through finding capable supplier or partners who can help deliver a competitive product or through reducing cost and helping increase cash flow for the business. Any business needs certain basic functions to operate, for example, payroll and benefits so that the employees can be paid on time. Procurement is one among them and generally gets lumped into many administrative functions. But if companies consider procurement as a source of innovation and cost savings, then it is not merely an administrative function and hence you need to strategically think about setting up your procurement team. So who should be reading this guide? You are a chief administrative officer or chief legal officer and looking to streamline the procurement operations at your company. You are hired to build a procurement team from scratch. No matter whatever your situation is, we hope that you would find this guide useful. This guide is organized by chapters, if a chapter doesn’t apply to you, feel free to skip it. 2. 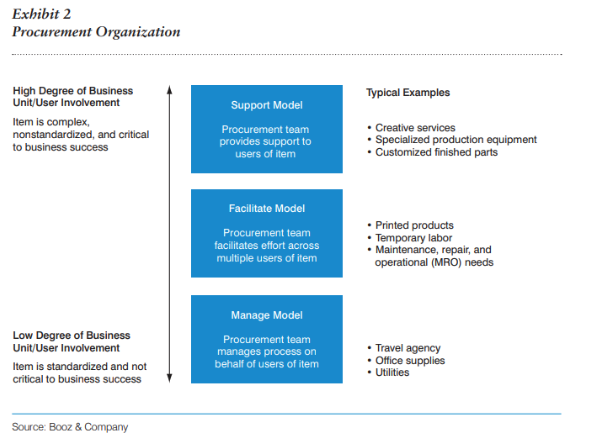 What role procurement should play in your organization? 6. What procurement technology do you need? 8. Measuring Procurement Performance – What procurement metrics you should be tracking? So what is the role of the procurement function and what should be its key objectives? That should be the first question you should ask when you embark on the journey of building a procurement team. When the organization is small, very few employees are purchasing product and services. As the organization grows, the purchasing becomes de-centralized within different departments. For example, if you are manufacturing a product then the raw materials (often called Direct Spend) is purchased by the production department. Purchases for IT-related spend is done by the IT department and so on. Common things like office supplies generally purchased by office managers and so on. As the organization grows, this approach creates more silos from a purchasing perspective and each department starts to develop relationships with their own vendors. Having a central procurement team ensures that purchasing is centralized at one single place and you can gain productivity improvements by having one department conducting all the purchasing activities. The sooner you think about centralizing purchasing, the better it is. If you wait for too long, it becomes a change management nightmare. The longer people have been making their own purchases, the longer it will take for a procurement team to standardize and centralize the process. Even though you have multiple locations, having a common function across each location can drive the efficiencies and productivity improvement. You could think of a central procurement function but decentralized enough so that each location can make decisions which are good for the business. The obvious benefit of centralizing procurement is cost savings and cost control. When you don’t have a procurement team, there is no standardized purchasing process or approval process. In those cases, you would see that purchases are often made over the phone without a proper purchase order and the only time finance teams knows about the spend is when the invoice shows up. By that time it is too late for the organization to control the spend. The role of a central procurement function is to drive the standardization of purchasing process and implementing basic cost controls like approvals before the purchase can be made. That allows the management to review the spend before it happens and reduce avoidable cost. As per research by SpendMatters, companies can easily save 2-3% due to cost reduction by implementing basic purchasing controls and purchasing systems. Once the basic purchasing controls are in place, the team can then start benefiting from understanding the synergies of purchase and that result in cost savings. Soft savings – also called as cost avoidance. These savings are because of tighter purchasing controls and negotiating down YOY cost increases by the vendor. Though it doesn’t decrease the budget, it does help the organization to effectively allocate the capital and avoid any budget surprises. Hard savings are tangible savings and the result can be measured as a reduction in budget. For example, a company purchase a raw material widget at $X/ Unit and the new reduced cost is $X-1 /Unit. Then if the volume remains the same, you can see the impact of cost reduction in the cost of goods sold (COGS) line item. This should improve your unit economics. As you grow your organization, purchasing compliance becomes an important issue. Purchasing compliance happens at various levels but at a very basic level, you need to have proper purchasing controls. The goal of purchasing controls is to prevent procurement fraud. It is easy for an employee to conduct procurement fraud if there are lack of controls and segregation of duties. For example, the same person can create a purchase order, inputs an invoice and make the payment to the supplier. The other benefit of having tighter controls is that it is a key requirement for Sarbanes Oxley (SOX) compliance and if you are thinking of raising money or going public then these basic controls are a must for your organization. Depending on how your procurement team is structured, the contract management function should be centralized with procurement. • Without a central contract management function, there are no standards for contracts and that could open your company to unwanted risk. • If the contracts are managed by different departments, then there is no way to ensure that you have contracts wherever required. • There is no single place where you can find all contracts, they are generally with employees who negotiated it and it is often difficult to find those contracts if the employees are no more with the organization. Having a procurement team enables central management of the contracts and they can ensure that standard contract guidelines are followed by coordinating with the legal department. The other key function a procurement team handles is risk management. There are different types of risk and based on the nature of the business, this may or may not be an importance to you. Having a contract with a supplier is of no use if the supplier can’t deliver the product or deliver the product on time. Procurement team can mitigate this risk by doing a thorough evaluation of the supplier which includes factory visits, quality surveys and talking to reference customers. Ensuring supply also includes ensuring that contract has penalties for suppliers if they are unable to meet the committed timelines. Procurement can also mitigate this risk by holding regular business reviews to track continuing performance and surface any potential issues and their risk mitigation plans. In a perfect world everything goes as per the plan, well we don’t live in a perfect world! You have to ensure that your business is not taking over undue liability because of entering a contract or lack thereof. Let’s take an example, let’s say you have hired a contractor to fix the ceiling lights in company’s lobby. The contractor sends one of his technicians to fix the light. While he is working on it, he drops the light fixture and that falls on one of the visitors head. The visitor in turns sues the company for negligence and expense due to hospitalization. Who is liable for the damages, the company who hired the contractor or the contractor who was hired to perform the work? Procurement team can help mitigate this risk by ensuring that there is an established contract with the third party contractor and limitation of liability clearly defines who owns the risk of potential damages. We all heard about child labor issues at Foxconn, one of Apple’s main supplier. But reputation risk is not just for big companies. Do you as a company wants to be associated with such a business? Now we are not saying that Apple doesn’t care about things like this but this can happen to any company. Whether it is dealing with an international supplier or local suppliers, you want to ensure that the reputation of your company is intact especially in the community in which you are working. No buyer wants the cost of their raw materials increased, of course, the suppliers of any product or service would love that. But cost increases are part of the regular buying cycle. For example, the cost of raw materials can increase which increases supplier cost of producing the product for you. Now, of course, you don’t have these things in your control. Procurement teams, however, can structure the contract in a way that it prevents the supplier to increase the cost for a fixed number of years or months. In some cases, there is a reciprocity language which allows buyers and suppliers to share the risk and reward. For example, if the cost increases the buyer and supplier would share a fixed percentage of the total cost increase. In case the cost decrease, both buyer and supplier would share the benefits of reduced cost. When it comes to mitigating cost increase risk, you need to take a practical approach. A fixed cost contract would be of no use if it drives supplier to bankruptcy. Procurement teams not only help in mitigating liability risk but can also help with tracking supplier financial performance, especially for your critical suppliers. There is a lot of public information which can be used to track the financial health of your suppliers. It needs a disciplined approach and dedicated focus from procurement teams. So now you know what are the different benefits of having a procurement department but what role procurement should play in your organization. • It is imperative for you to align procurement objectives with organization objectives. Setting up clear objectives for the new procurement department is the first step towards that. • You can use this baseline to identify the skills your team should have in order to meet organization objectives. How to identify procurement objectives? The next obvious question is to define the objectives of the procurement department. If you are an experienced procurement professional, you already know this correct? We request you to think again. It is true that at a tactical level (operations, process) etc. doesn’t change from company to company but how procurement is perceived does change from company to company. You should not assume that what worked in one company will work in another company too. Start with interviewing your key stakeholder to understand the expectation for procurement department. The logical next step on this is to start with the person who hired you. Assume that you are hired by the chief administrative officer or chief financial officer to start a procurement department or you have been promoted to head the procurement department. “What incident triggered you to take the initiative on starting a procurement department”? Then shut up and listen carefully! The goal is to uncover the underlying issues in the organization whether it is people or process. Let say they come back to you with an example where they talk about unauthorized spending and how it cost company unplanned expenses. Then you know the main need is for compliance. Let’s take another example – they talk about how the increasing costs are shrinking the EBITDA margins, then you know that the main focus is cost savings. You can ask a more clarifying question to better understand the situation but this exercise should provide you a good starting point. • First and foremost, it gives you a good start. Your stakeholders would be happy that you are taking the effort to understand key business issues before you can come up with a plan on how to help them. • It will provide you with an understanding of the key levers you need to pull to build strong stakeholder engagement. • It gives you a definite game plan which you can execute, of course, this also has a dependency upon the skill sets you would need to hire. For example, if your stakeholders are telling you that they need to work with someone who understands our business, then that means deep category knowledge is very important to work with that stakeholder. So what internal stakeholders you should talk to? Start with the Chief operating officer (COO) or equivalent designation in your company. The goal here is to identify key expectations they have from procurement. Please keep in mind that at this time, you should not be telling them how you can help but the goal is to understand what help they need. • We are growing pretty fast and we need to ensure that we are spending the allocated capital wisely. In that case, they need visibility which can help them drive day to day business operations. • We have different people in the organization chasing vendor orders and making calls to expedite those orders. It would be great if we can free up those resources to focus on operations activities. Once you understand their key expectations, you should then ask them for 4-5 other stakeholders you should talk to. • Key objectives for the procurement department to meet desired goals. • Key expectations from different stakeholders. With this, you are ready to move to the next step on defining the team structure. Next step is to define different sub-teams/departments within the procurement team. Your procurement team should serve the following functions. Ensuring that purchasing process and systems are in place to receive user requisitions and proper authorization of the spend. Ensure that the organization has a simple purchasing process. Creating the purchase order and sending it to the vendor. Escalating the orders to ensure timely delivery of the product and services required to operate the business. Educating employees about the purchasing process. Set up a strategic sourcing process to ensure that all vendor evaluations follow a standard process. Educate stakeholders on how the sourcing team goes about evaluating vendors and what are the roles and responsibilities of business vs sourcing team in a vendor evaluation process. Run the RFX’s ( Request for information(RFI) or Request for proposal (RFP)) process with the vendors. RFI’s are generally run to gather information for creating an RFP and asking vendors to submit their proposal. Support business with analysis of the RFP responses and help drive a decision which meets organizational goals. Work with contract management to review vendor contracts and ensure risk is mitigated. Own a savings target and responsible for tracking procurement cost savings. • Providing standard contract templates for different product and services which are procured by your organization. That also includes defining standards for commercial and legal terms. Standards for commercial terms like payment terms are set up in consultation with the finance and treasury department. • Define standard fall back clauses and work with sourcing teams to enable sourcing self-service. • Review vendor contracts to ensure that they meet the defined corporate terms. • Frontend the legal terms negotiation with the vendor’s attorneys. • Set up a central repository for storing all contracts so that it is easy to fin contracts and track key dates like expiration and renewal dates. When we say contract management, we are referring to the job function but contract management can be in procurement or in the legal department. There are pros and cons of both approaches. For example, having contract management function within procurement helps in increasing collaboration with the procurement team and faster turnaround for contract review. On the flip side if there are not many contracts to review, then you are not optimally utilizing that resource. We suggest discussing with your chief legal officer to find the optimal model which works for everyone. 1. Run standard spend visibility reports and publish to the different departments. 2. Understand what value the budget owners are getting from reporting and how it can be improved. 3. Conduct spend analysis to keep on continuously identifying saving opportunities. Let me elaborate more on this. Generally, this responsibility is with strategic sourcing team to identify saving opportunities and executing it, but sourcing team is generally busy executing the opportunities and they generally don’t have time to mine the data to find more opportunities. Think of this as a sales function, you have inside sales team working on identifying and qualifying new sales opportunities and then you have a field sales team which is responsible for taking those opportunities forward. By ensuring that you have a different individual working on identifying saving opportunities, the sourcing team can be more efficient in executing those saving opportunities. We talked about the role of sourcing function in the overall procurement function. Now we talk about the best way to structure the sourcing team. In a department based approach, you have a sourcing team member assigned to each department. She is then responsible for conducting sourcing for each of their departments. It is very easy for stakeholders to know whom they should reach out for sourcing events or evaluating vendors. It is a great model for increasing stakeholder engagement. This model is not efficient in case there is not enough volume for the person managing that department. This model doesn’t work in case you need specialized commodity knowledge because the person is a generalist and not specialist for that category. The next approach is a category based approach where your sourcing team is organized by categories and they support the sourcing activities for one or more than one categories. It is a great approach where you need domain knowledge to source the category. For example, telecom services or clinical research services or other specialized projects. It affords sourcing/category manager to grasp the domain knowledge and manage the category through a category management plan. It is not a good approach for stakeholders if the stakeholders are purchasing multiple categories. For example, you have an owner for IT hardware and software and you have an owner for professional services. So your stakeholders always have to remember to reach out to two different sourcing team members based on what they are procuring. It is not a good model for resource utilization unless you have a steady stream of sourcing activities. For example, if a resource is specialized in category A but you don’t have enough work then you have to continuously reassign resources for full resource allocation. As the name suggests, a hybrid approach is a combination of both department based approach and category-based approach. If your spend is organized by categories and you don’t have enough sourcing activities for individual categories then this approach would work best. In this approach, you have an individual assigned to one or more departments. However, that individual is also responsible for a category or set of categories. That individual sourcing/category manager is then responsible for working with other category owners to satisfy the requirement of the department or set of departments assigned to them. This approach is good for stakeholder engagement because they have a single contact for all their sourcing needs. Your sourcing team can still develop the domain knowledge for the primary category they are working on, which is a requirement for certain categories. It requires internal coordination within the sourcing team and if not well managed, people can step on each other toes. Which approach is better for you? Unfortunately, there is no one correct answer for this question and it depends on the needs of the business. By now you understand the key requirements from your stakeholders. Based on that, you can choose a model which works best for your situation. Following is a good model to think about how engaged your team needs to be. For example, in certain categories where you might not have domain knowledge, you are providing support. If you are just starting the procurement department, you could always start with a department based approach. By doing that, you can build a strong relationship with your stakeholders. A hybrid model might be a good start if your stakeholders expect strong category expertise form the sourcing team. In that case, you can hire people with those skills, assign them to a department and let them coordinate the sourcing activities with other team members. Another aspect to consider is whether you spend is Direct or Indirect spend. If your spend is primarily Indirect then you should be able to support your organization needs through a department based model because Indirect generally doesn’t need strong category expertise. A critical aspect of building the procurement team is hiring the correct skillset. When you are looking at hiring, you have to take a balanced approach to find the right mix of skill sets. For this discussion, we will split the skills into major categories. Hard skills and soft skills categories. Hard skills are specific to the procurement function and soft skills are important for day to day interaction with stakeholders. When evaluating your next hire, focus both on hard skills and soft skills because they are equally important. Not every function within the department should be good at negotiation. For example, the purchasing person should be more focused on transactional metrics than negotiating with vendors. Negotiation is primarily managed by the strategic sourcing group. However, if you are just building the team, you probably would have limited resources and it is quite possible that the same person is wearing multiple hats. You should specifically assess the negotiation skills while hiring. This is day to day negotiation where the focus is to get the lowest cost. If you are purchasing a standard commodity item and there is enough supply in the market, then you just need basic negotiation skills to get the best price possible. If your primary spend is commodity items, then a simple sourcing process and basic negotiation skills should suffice. Ask your potential candidates how they approach negotiations and you might be surprised how many candidates approach negotiation in a tactical way. We call this strategic because you are not always in a situation where you are purchasing commodities and have an abundance of suppliers. There might be cases where you are single threaded with your suppliers or you are looking for a new supplier who can provide a unique product. Whatever the case, you need to approach strategic negotiations with an intent to create the best value for your company and your strategic partner. Notice we said value, not cost. When you think value, think TCO (Total Cost of Ownership) and how the partner can help achieve your revenue and growth goals. 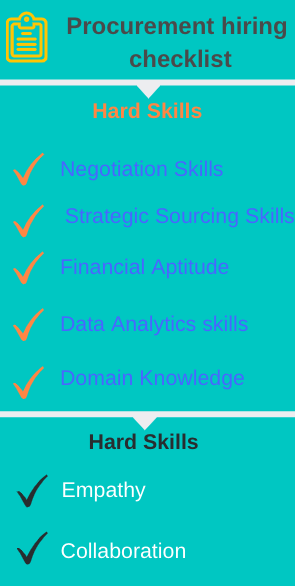 This is the foundation skill set for any good strategic sourcing professional. Now you can support your team by providing a good strategic sourcing process. In Simplifying your purchase process, we covered how to create an effective strategic sourcing process. If you start with something simple, have a basic process which covers the steps from requirements gathering to awarding a contract to the vendor. In most cases, your stakeholders would provide the list of suppliers to be included in the sourcing process. This is a very common scenario for commodity items or services but what if your stakeholders don’t know enough suppliers for you to run an effective RFP? In that case, your market research skills can help you identify new sources of supply for your next RFP. Some key skills in this area include using google for supplier search, understanding who the key analyst covering a specific space, common publications etc. Another key aspect of strategic sourcing skills is to understand business needs. Yes, it is straightforward, ask your stakeholders for business requirements! Though that is the preferred method, it doesn’t give you complete requirements unless the sourcing team member can help shape the requirements. A stakeholder only wants a widget from manufacturer A and that limits your negotiation power. Simple demand and supply. Now if the sourcing professional just accept that as a requirement, then there is limited leverage. However, if the sourcing team member tries to dig deeper on why only that manufacturer then they can gain a better understanding of the business needs. Asking the why questions can help you gain a better understanding of business requirements and increase the vendor based in the RFP. In today’s day and age, procurement works hand in hand with finance to drive cost reduction targets, now whether that is reducing EBITDA or reducing the working capital requirements. We are not suggesting that procurement needs to be fully versed with finance jargons but they need to have a good understanding of how their work impacts companies financial goals. For example – What items are considered as COGS (Cost of goods sold) and how the reduction in COGS leads to an increase in revenue. How reducing the expenses increase the EBITDA margins. Understanding these key metrics would help your team to better appreciate the role they play in helping meet the corporate goals. Analytics skills are a must for sourcing professionals so that they can analyze the spend data to identify savings opportunities. Not only it helps with spend analysis but also helps in better presenting the cost savings data to the senior management. Now as your team grows, you can think about having a dedicated team member doing data analysis so that the whole team doesn’t need to have those skills. Someone who is very good at data mining along with procurement knowledge could be a very good asset for your team. We have added domain knowledge as a hard skill because sometimes certain categories need specific domain knowledge for your procurement team to be effective. Of course, your new hires don’t need to be domain experts from common commodity items but if you are handling specialized categories like telecom, healthcare, network management then that requires domain knowledge. In the later section, we cover about how to hire for domain knowledge. I’m not telling you anything new here but Empathy is the most underrated skill when it comes to procurement professional. Like any other department, procurement is trying to implement the best practices for purchasing by working with the stakeholders. However, it is important to have empathy towards your stakeholders for procurement to be considered as a trusted partner. Let say that you have a user who is not completely in synch with the purchasing policy and they are always used to do their “own thing”. If you approach that person in a confronting fashion accusing them of violating the policy – would that help your cause? However, if the same person is approached with some empathy so that you try to understand their needs and why the process is not working for them, you would get a very different result. While hiring procurement professionals you should pay special attention to this. It is not going to help your cause if you hire a negotiation superstar but they can’t effectively work with different stakeholders. Ask them how they deal with difficult situations where a stakeholder is not cooperating and you would learn a lot on whether they have the empathy element or not. Working with department owners to align procurement strategy with their departmental goals. Working with suppliers to run an effective RFP. Coordinating the evaluation process with internal stakeholders during an RFP process. In our experience running procurement teams, no one person is good at all skills. Collaboration usually a weak area for intellectual brains. So they might be very good at data analysis and defining the strategy but when it comes to execution, they can’t collaborate with others. Hiring good procurement talent is a challenge for many procurement organizations, especially in today’s changing environment. Procurement needs a different set of skill sets which it needed say a decade back. The focus is shifting more on enabling innovation and not just cost savings. As we discussed earlier both hard and soft skills are equally important for procurement professionals. The challenge is to find those unicorns who are equally good at procurement skills (hard skills) and good at stakeholder management (soft skills). In our experience, it is best to prioritize the skill sets into must haves and nice to have. The must haves becomes your baseline which your potential hire should meet and nice to have skills can be developed later with additional training. For example, you might need a good negotiator so that you can focus on cost control, however, if that person is not good at soft skills, then you can probably bridge that gap by working directly with stakeholders. Again it depends upon how much bandwidth you have and what you can live with. With that said, that are two common hiring models for hiring for procurement talent. In the techniques below, we mean strategic sourcing when we say procurement talent. Procurement leaders are trying to address the procurement talent issue by hiring for domain knowledge and then training for procurement skills. The rationale is that you can always train individuals on procurement skills later. If you are just starting a procurement department and you need strong domain knowledge (direct spend) then this might be a good approach to jump-start the procurement initiative at your organization. These type of hires are more common for categories where domain knowledge is important and hiring a person without domain knowledge won’t work. This is a common case for highly technical categories. Most of the times these are internal hires. Since you hiring for domain knowledge, it is always better to higher someone from the stakeholder team you are supporting. For example, you are supporting an engineering department, then it makes sense to hire someone from engineering and then train then on procurement skills. The other common scenario is areas where procurement have limited engagement and this could be used a tactic to increase stakeholder engagement. For example, you have never supported the marketing department before and you want to get engaged with marketing spend. The best approach would be to hire someone from the marketing department and then train them on procurement skills. The approach works best when the procurement professional must have domain knowledge for effective engagement. In both cases above, hiring someone internally make sense because you get the domain knowledge and immediate engagement with stakeholders. A word of caution with this approach, make sure that the internal hire completely handover their operational role before transitioning into procurement role. It is not uncommon for employees to transition to procurement and keep on supporting part of their old operational role. In this case, you are hiring procurement talent from outside who might or might not have domain knowledge. The key assumption here is that domain knowledge though important but not super critical for the functioning of the procurement department. The other key assumption is that person you are hiring is able to learn in a reasonable amount of time. When you starting the procurement department your focus mostly would be Indirect commodities. If you are in a service industry, most of your spend would be in the Indirect spend bucket which means you can live without specific domain knowledge, to begin with. When you are hiring generalist, the goal should be that they are able to get some quick wins so that can you can establish procurement value. You can always hire later for specific domain knowledge If and when you need a specialist to bring more spend under management. One word of caution here, if you are planning to train your procurement team later on domain knowledge then make sure they have done similar work in the past. Notice, we said similar not same. For example, if the person you are hiring has a strong background in sales and marketing, you should not expect that person to become an expert in clinical research. However, a person who has done work in sales and marketing can easily handle legal sourcing with enough training. You got your objectives, you got your team. 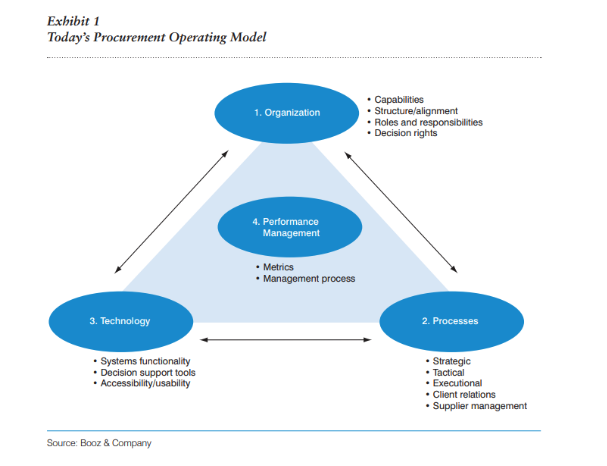 Now let’s look at what procurement technology you need to effectively run the organization. Technology plays an important part in enabling the procurement organization and enabling the stakeholders. There are different areas in which digital technologies are helping in enabling procurement organizations to deliver better value. When you are starting a procurement department, your immediate focus is on transaction management, ensuring that basics are in place. For example, orders are shipped on time and reducing the transaction cost, for example reducing the purchase order cost. Then the focus gradually shifts to ensuring compliance with your preferred vendors. In these areas, a good purchasing system can help you with the automation of different pieces of the purchasing process. A good procure to pay system can help you in the automation of the purchasing process and also automates the invoicing process and enable e-invoicing from vendors. With that said, we will cover a basic overview of most common procurement technologies available to procurement. These are sometimes referred to as Source to Pay tools. Spend analysis tools are primarily meant for sourcing and data analyst team to analyze historical spend data to identify patterns and saving opportunities. Any good spend analysis tool helps you with classifying the historical spend data into category buckets and then provide analytics to support the decision-making process. Now a spend analysis tools make sense when you have disparate systems and good line descriptions. The tool can then harmonize the data into one common classification schema and provide granular visibility at line item level. If you are just starting with a procurement team, chances are that you have limited data to start with. You probably have supplier level visibility and in that case, you don’t a spend analysis tool to just evaluate your supplier spend. You can use our free spend analysis template here. eSourcing technologies help strategic sourcing professionals to automate the RFI/RFP process and enable them to handle more volume. Also, eSourcing tools can help you run e-auctions, both reverse auctions, and forward auctions. You are trying to better understand the spend so that you can identify saving opportunities. The focus, in the beginning, should be to automate the purchasing process so that the transactions are taken care of and you are able to get the product when you need it and where you need it. It helps to gather data at one single place so that you can easily compare the results from suppliers instead of manually collating all the responses at one single place. It makes it easy to get feedback from the stakeholders and rate the vendor scores so that you can get a total score for each supplier. These things can be done manually if the volume is low and especially if you are purchasing commodity products. We normally see organizations investing in eSourcing tools when they have a large volume of RFP’s and when they have a large number of stakeholders. 1. It allows you store contracts at one single place with rich information. Having rich data about contracts helps you track key renewal dates, understand contract risks and so on. The biggest benefit is that you don’t have to keep looking in people drawers for the contracts. 2. It allows you to easily draft new contracts. If you always like to use your own contract copy, this is a good option. Having a contract tool for creating new contracts enable the legal department to provide standard clauses and their fallbacks. You have a large volume of contracts. Your contracts are not centralized and you would like to create a shared repository. You would like to have rich metadata for contracts which is easily searchable. Most companies start with creating a simple structure on their internal storage systems and then evolve from there. If you can invest in a contract management repository from day one, it would make it easier to manage the contracts. As your supplier base grows, you need to maintain better information about suppliers as well as track their performance. Supplier information management tools allow you to store more information about your suppliers. For example, your accounting system might have basic fields like tax id, name, and locations. However using a supplier information management system you can store information like insurance certificates, diversity certificates, capability information etc. Some supplier information tools also gather news in real time and analyze the impact the information for you. Supplier performance management tools help you create, measure and track performance scorecards for your suppliers. It is very common to measure the performance of suppliers for Direct spend. There is a limited use case for tracking supplier performance for Indirect spend. However, it is a good practice to track performance for your key suppliers. Should you invest in Supplier information and performance management tools? It depends on whether you need more information about your suppliers and whether you need to track supplier performance. Supplier performance tracking is very critical for raw material suppliers because that has a direct impact on the product you are producing. In our experience, we see companies investing in such tools at a later stage of their procurement maturity curve. Procure to pay or e-procurement automates your end to end purchasing process including invoices and in some cases payments. 1. The ability for end users to create requisitions. This also includes the ability to create requisitions from catalogs so that spend can be directed to the preferred vendor. 2. The ability for the Spend to be authorized at the correct organization level. This not only allows for cost control but allow the purchasing team to review the spend before it happens. 3. The last step in this process is to send the purchase order to the supplier. Based on the capabilities of the supplier and capability of your system, you can send the orders via EDI, email or through a supplier portal. 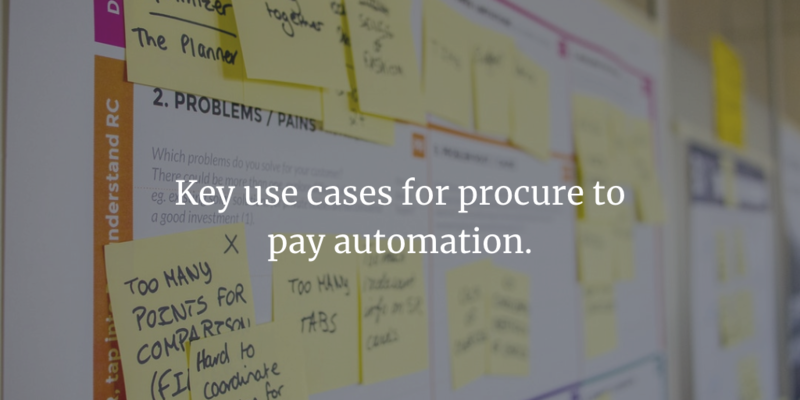 For more details on the procure to pay process and its pros and cons, check the details on Procure to pay use cases. This use case covers the steps mentioned in purchasing use case and the following steps. 1. The ability for creating receipts for the ordered items. The receipts can be created by the users who ordered the product (Desktop receiving) or by a central logistics team (central receiving). If your users don’t create receipts, we recommend that you start with central receiving and move to desktop receiving after your users have adapted to the new process. 2. It also includes the ability for supplier invoices to be created in the system. Whether the invoice needs to be entered manually in the system or the process is completed automated – it depends upon the capability of the vendors and the capability of the system. The common mechanism includes EDI (Electronic Data Interchange), email and cXML. Don’t worry about the jargons, your procurement system vendor should be able to take care of this for you. 1. The third step in this process to match all the documents and enable touchless invoicing. That means a 2 way (match PO and Invoice) and a 3-way match (match PO, Invoice and Receipts) to ensure that the data is consistent across all three documents. 2. The fourth step is payments to the vendors. This may or may not happen in the purchasing system as most companies prefer to use their accounting system for payments. Why you should invest in Procure to pay from day 1? Other than our obvious bias towards this recommendation, here are some reasons why you should think about investing in procurement technology from day one. 1. It helps you socialize the value of procurement through better data and visibility. 2. Having a modern procurement system helps you to better understand the Spend trends and delivers line item visibility. That visibility not only drives better decision making within the organization, it also helps the procurement department to drive better cost savings. 3. When you are starting the department, you have limited resources. Bu automating the purchasing process, you can focus on more value-add activities rather than focusing on tactical activities of pushing the order outs. 4. There are tangible cost savings by reducing the cost of processing purchase orders. Don’t take our word for it, calculate your own cost of a purchase order. 5. Procurement technology is inexpensive now so why not give a better experience to your stakeholders and elevate the value of the procurement department? When it comes to investing in technology, Procurement is always dealing with limited budgets. You would need to prioritize what technology components make sense in the beginning and what can be implemented later. The prioritization would be driven by a lot of factors. For example, if you have a large volume of purchase orders, then it makes sense to first automate the purchasing process. Your stakeholders need to see procurement as a value-added partner vs. a necessary evil. 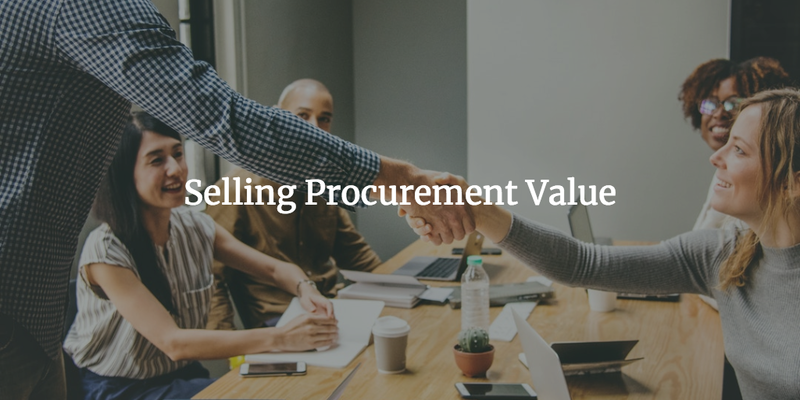 That would help you deliver long-term value for procurement and help elevate the role of procurement in the organization. Engaging your stakeholders starts with understanding your stakeholders. There are internal and external stakeholders and procurement needs to focus on both to deliver value. This is specific for internal stakeholders. When you are just building a procurement team, you need to not only understand who they are but also what they were doing with respect to procurement before you joined the organization. This is really important because if they are used to managing their own negotiations, you would have a tough time moving them away from that. So understanding their preferences would help you to be better prepared. What are their business goals? One, the purpose of the department- for example marketing sales etc. Second, there short-term goals and objectives. Just because someone says they are in marketing, don’t assume that you know what they do. There are certain core functions which are common across companies. For example, Sales is responsible for selling. But the goal of this exercise is to get one level deeper and understand their stated goals as well the challenges. For example, you might be surprised that how similar the role of IT and Procurement is. Both procurement and IT also struggles with policy adoption challenges because there are always some rogue elements who want to do their own thing. On the short-term goals, that helps you to understand areas where you can deliver quick wins and get the engagement going. For example, let say the sales department want to find a solution to increase the productivity of the sales team, they have found a couple of solutions but they all seem to be out of their budget. Can you help them get the product/service within their budget? You might not be able to claim savings but that is a great way to start building the stakeholder engagement. Different people have different personalities, and that is true for your stakeholders also. Understanding their personality types would help you structure a different approach for each stakeholder. For example, some stakeholders like to take charge in vendor negotiations and some might fully rely on you to decide the approach and provide guidance during the vendor evaluation process. If you don’t want to spend enough time on this, at the bare minimum understand their need for control. Some stakeholders need to feel fully in control of the evaluation process and that is important to them. Based on the personalities, you can adapt your approach. By understanding the goals of your stakeholders, you can better structure your team to serve the needs of the organization. Let’s take an example. As a part of understanding your stakeholders, you met with CIO or VP of information technology in your company. She explains that the department goal is to migrate all legacy applications to cloud-based applications in the next 24 months. Also, they want to ensure that they can leverage existing platforms instead of purchasing point applications. So how do you got about aligning goals? One, since now you understand the stated goals, you can identify what kind of skill sets would be required in your team to support the CIO’s goals. Would it help to hire a sourcing professional who has experience in negotiating cloud applications? Or maybe you can find some in IT who wants to move to procurement. Second, you can help the IT team in identifying consolidation opportunities. For example, marketing wants to invest in a niche email marketing tool but your current CRM solution already provides that capability. You can route all such requirements to IT and let them help drive consolidation. No doubt that procurement main driver is cost savings, but focusing on cost savings alone will not help drive stakeholder engagement. Same is also true for the approach you take with your stakeholders. Remember we talked about understanding personalities types. Once you understand your stakeholders, you can customize the approach for each stakeholder. When it comes to enabling your stakeholders, keep in mind that you can’t approach this with a policy enforcement mindset. For example, one stakeholder would love the RFP approach and the other stakeholder might just want to call the vendor and select one. Yes, we are exaggerating a little bit but you get the point. So are we suggesting that you let your stakeholders do what they want without any regard for procurement policy? What we are suggesting is that you should keep your strategic sourcing process flexible and adapt that to the needs of your stakeholders. You need to continuously evaluate whether your current processes are working and what adjustment is required. Not all stakeholders like detailed presentations and recommendations supported by facts. Some might like just a quick update or high-level summary without going into details. Understanding what works best for each stakeholder helps you save time and better enable your stakeholders. For example, if you know that a particular stakeholder doesn’t like presentation then there is no point laboring on one. Just present a synopsis and that all! Stakeholder engagement is not one and done. You need to seek regular feedback from your stakeholders and report on the value add to the specific department or the entire organization. Stakeholder priorities change every few months, that is driven generally by the corporate strategy. That’s why you should have a regular cadence, preferably quarterly to connect with your stakeholders and get their feedback. That will ensure that you are continuously evolving the capabilities of your team to match the needs of your stakeholders. Your stakeholders might change due to attrition or people moving on to other departments. So having a continuous feedback loop ensures that you are in touch with the needs of your stakeholders. Once you establish the engagement cadence with your stakeholders, it is important to continuously seek feedback on how that is working for your stakeholders. For example, by seeking feedback you can understand how happy your stakeholders are with the assigned team member and if not, what corrective actions are required. No discussion of procurement teams is complete without addressing the question of measuring and tracking the performance of the procurement team. 1) How the company views the procurement role. At the beginning of this guide, we talked about understanding the expectations of your key stakeholders and what they expect from the procurement department. We can use the outcome of that exercise to design key performance metrics which needs to be tracked for ensuring that we are aligned with the corporate goals. 2) Operations metrics to measure the productivity of the team. You can think about procurement metrics as transactional metrics and operational metrics. What do we mean by that? Transactional metrics are about the efficiency of your purchasing process. These metrics help you to understand if you need to further simplify your purchasing process. Things like the number of PO’s processed, the time it takes for approval etc. Operational metrics are focused on the output of the strategic sourcing function. 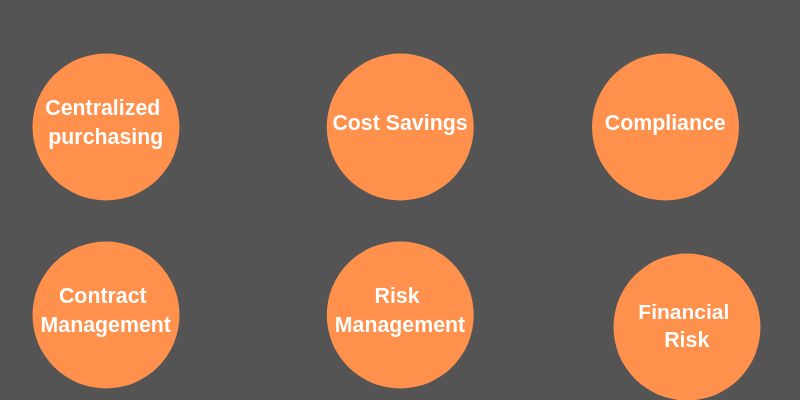 Things like the number of categories per category manager, savings delivered as a percentage of spend managed. Both categories are equally important. The first category is focused on stakeholder engagement and ensuring that procurement is delivering what the stakeholders expect. The second category allows you to measure the productivity of your team and understand the areas for further improvement. With that said, following is a list of key performance metrics you should be tracking. This is not a comprehensive list but should get you started towards building a dashboard for measuring procurement performance. You must be wondering why cost savings is not our number one Key Performance Indicator (KPI). We strongly believe that better engagement drives better cost savings. What and how to measure it? The main goal is to measure the overall satisfaction of your stakeholders. However, this needs to be tracked in comparison to other areas too. For example, If your stakeholder’s engagement is increasing but your spend under management is decreasing then there is something wrong with this picture. Higher engagement should lead to higher spend under management. Stakeholder engagement can be tracked through surveys or in-person meetings. We recommend a quarterly frequency for tracking this metric. 1. How happy you are with procurement engagement? [Scale of 1-5, 1 being the lowers and 5 being the highest]. 2. How effective is procurement in understanding your business needs? [Scale of 1-5, 1 being the lowers and 5 being the highest]. 3. What is one area where we can improve for the next quarter? You can add your own questions, but the first two questions can give you a clear objective measure of the stakeholder engagement. The third question is designed to be open-ended so that you can get whatever feedback they might have. Every company has an Opex budget to run the operations and a Capex budget to invest in the assets to drive future growth of the revenue. A simple way to track cost saving is to create a procurement savings tracker which is a simple tracker to maintain your savings, and in that, you can mark savings as Opex or Capex. One important note here is that you are reporting against the allocated budget for that project. For example, you have $100,000 allocated for the purchase of the new software. For sake of simplicity, let’s assume that the average bid from all suppliers was $115,000. You final negotiated cost is $95,000. You are always measuring against the budget. The reason you do it this way is so that the finance team can adjust the budgets accordingly. Capex costs savings is savings delivered against the various projects in the capital plan. As you might already know, Opex savings impacts EBITDA and cash flow but Capex savings only impact the cash flow. So Opex savings delivered by your team is helping to drive better EBITDA margins. In our view, cost avoidance is equally important as cost savings. Cost savings is considered as soft savings because it is avoidance of cost and not reduction in cost. Let’s take an example – Marketing wants to implement a new initiative for driving more leads and it is going to cost $100,000 based on the initial quotes from the vendors. There is no budget allocated to the project, but with your involvement, you brought the cost down to $50,000. Would you consider $50,000 as cost savings or cost avoidance? If you look purely from a finance perspective, it is cost avoidance because there is no pre-allocated budget for this project. However, if procurement was not involved, probably the cost would have been $100,000 or a little bit less. Spend under management is the spend managed by the procurement team or spend where the procurement team has any influence. As per Ardent partners, every new dollar that is placed under the management of the procurement department, the average enterprise realizes a benefit of between 6% and 12 % during the first contract period. Also as per Ardent partners, best in class companies have 90% + spend under management. How do you measure spend under management? First exclude all the non-vendor payments from the spend, For example, interest payments, payroll, taxes, regulatory payments etc. Based on your industry, you should be able to easily scope out what is In scope and out of scope for procurement. Second, out of the In-scope spend, measure how much spend in any given year is influenced by procurement. In other words, how much of the spend has gone through your procurement process. Contract compliance is a measure of the effectiveness of your purchasing process. Procurement might spend endless hours negotiating the best deal on the planet, but if your stakeholders are not purchasing from that contract, then you are not going to realize procurement savings. Any spend which is not purchased from contracted vendors is called maverick spend. Understanding contract compliance helps you implement strategies for controlling maverick spend. A transaction is compliant at contract level if the purchase of a product or service is routed to the right supplier and right contract. For example, all office supplies products should be purchased from Staples or office depot is an example of contract compliance. Compliance at line item level is to measure whether you are getting the right pricing based on negotiated tiers. For example, a widget cost $10 but as soon you cross 1,000 units cumulatively the price drops to $9. So line item compliance would track if you got the $9 price for any widget purchased after the 1,000 units. Compliance is line item is hard to implement manually. Investing in a purchasing system can significantly reduce this headache because you can now implement a catalog based approach to drive tier-based pricing. Cost of a purchase order is another important key metrics you should be tracking. Do you know what is your purchase order cost? The purchase order cost consists of all steps required to process a purchase order. That includes requisition, approval of requisitions, creating purchase orders and sending purchase orders to suppliers. There are various PO cost benchmarks which are available across industries. It could be as low as $50 and up to $500. Of course, that is because of the complexity and maturity of the procurement process. Why does it matter and how to measure it? First of all, it is a tangible cost and if you can reduce the cost, you can either run the department with less headcount or you can move the current resources to more value-add activities. For example, your team can focus on running more sourcing events instead of spending time on manually processing the orders. Measuring the cost can be done either based on estimates or you can take a random sample and measure the average PO cycle and cost associated with it. You might not think of executives cost as part of PO cost but come to think about, the time spent on approving orders is costing their time and that time could have been used somewhere else. 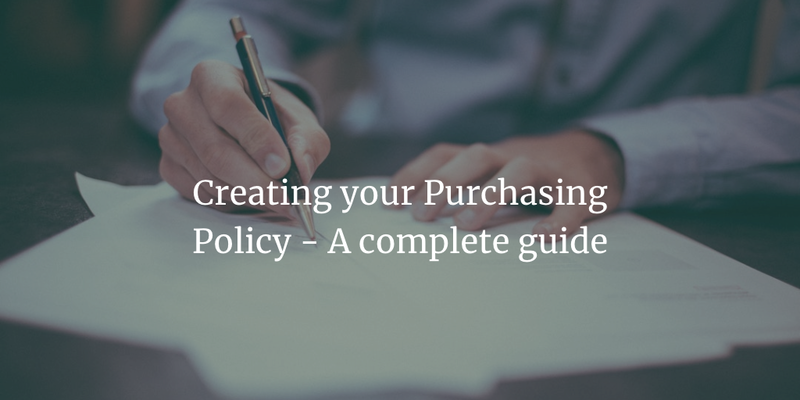 We have covered a step by step approach to calculating your own purchase order cost. 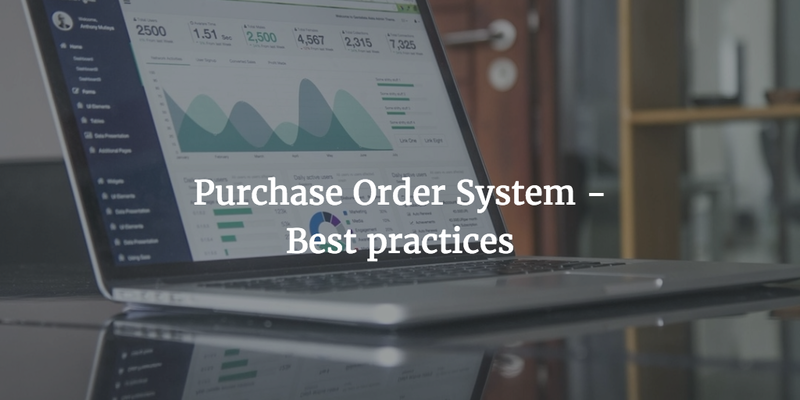 Purchase order cycle time is the time it takes from the time the user creates the requisition to the time the purchase order is sent to the supplier. You should be able to report these metrics out of your purchase order system. If the order is taking too long to be approved, then why that is the case? You might realize that the requisitions are sitting in draft for a long period of time and that is caused by users not having the right information at the right time. You could easily solve this problem by building more catalogs so that information is readily available. If the reason for the delay is that the user doesn’t know how to use the system, then you can solve that by providing more training or cheat sheets. The other common reason of delays is the approval levels. Any good purchasing system can help you automate the approvals based on the purchasing policy but are they getting approved at the right level? The data should tell the story whether your approvals are efficient are not. For example, if all the approvals are going to a person higher in the hierarchy, then why that is the case? Maybe the purchasing limits at the lower level are too low. Analyzing your cycle time can help you identify problems with your purchasing process and how to go about simplifying the purchasing process. Procurement cost savings is an important KPI for procurement teams. However, tracking the savings pipeline is equally important. A close analogy would be sales, if marketing and inside sales is not continuously working on generating leads, then field sales will not be able to meet the revenue targets, no matter how good they are. 1. It helps you better predict whether you are or you are not on track to meet your savings targets. 2. It helps to streamline the work for your sourcing team and also helps you to evaluate if you have the right number of category managers executing those opportunities. If you have more opportunities then what can be handled by the current team, then you can look at hiring more resources. There is no point in delaying the cost savings because of the lack of resources. We have covered a lot in this guide to make it comprehensive but you can get value from this guide even if you just read one chapter. Based on where you are in the process of building a procurement team, some chapters might be redundant. The key is to build the team from the ground up to build stakeholder engagement. Savings follows engagement, not the other way around.